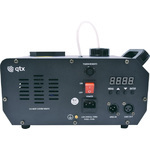 This wireless remote control is designed to control up to four QTX fog/haze machines independently. Two LED indicators display whether the machine is ready for use or heating (separate receivers for additional foggers are required). 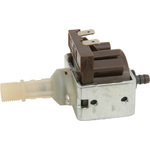 Magnetic receiver attaches easily to the machines. A selection of spare pumps to fit the QTFX range of smoke and haze machines. 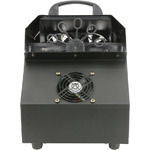 Portable bubble machine with high quality fan and motor to produce the best bubbles possible for your party. 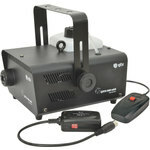 Fog machine with wired or wireless remote control. Patented coating inside pipework helps to avoid jams caused by residue build-up and an auto cut-off circuit protects the machine when fluid level is too low. Digital temperature control system maintains a high operating temperature for shorter re-heat times, delivering a high volume of fog output with reliable and efficient flow from a relatively compact and discreet housing. Mains powered, high output bubble machine built into a compact steel housing. Bubbles output is controlled by a choice of wired or wireless remote control. Designed to deliver a torrent of bubbles for stage effects and parties. 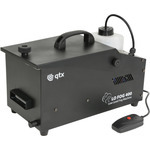 High output fog machine with output from the top of the housing to deliver a vertical column of fog. 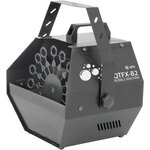 The output nozzle is surrounded by six RGB LEDs which have various program sequences for multi-colour flare effects. 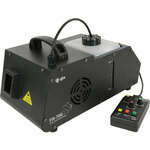 Produces dramatic and colourful plume of smoke on demand from DMX or wireless remote control. 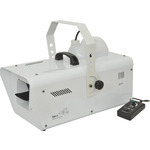 High output snow effect machine for large venues and seasonal events. Utilises a heavy duty fan to convert snow fluid into a blizzard of foam particles, giving the impression of snowfall. 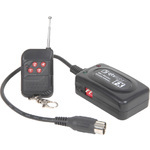 Wired remote control has an on/off switch and rotary output volume control or the unit can be operated from DMX. Purpose built for professional stage shows, themed installations and corporate events. Compact fog generator designed to provide atmospheric low level fog effects. Loading ice into the flip-top compartment cools the fog output,maintaining a high density and keeping the fog at low level. 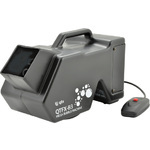 Fog output is controlled by a wired remote control with 'ready-to-fog' indicator. A unique effect for film, theatre and stage productions.